Many e-business scenarios require the integration of product-related data into target applications or target documents at the recipient’s side. Such tasks can be automated much better if the textual descriptions are augmented by a machine-feasible representation of the product semantics. For this purpose, categorization standards for products and services, like UNSPSC, eCl@ss, the ECCMA Open Technical Dictionary (eOTD), or the RosettaNet Technical Dictionary (RNTD) are available, but they vary in terms of structural properties and content. In this paper, we present metrics for assessing the content quality and maturity of such standards and apply these metrics to eCl@ss, UNSPSC, eOTD, and RNTD. Our analysis shows that (1) the amount of content is very unevenly spread over top-level categories, which contradicts the promise of a broad scope implicitly made by the existence of a large number of top-level categories, and that (2) more expressive structural features exist only for parts of these standards. Additionally, we (3) measure the amount of maintenance in the various top-level categories, which helps identify the actively maintained subject areas as compared to those which ones are rather dead branches. Finally, we show how our approach can be used (4) by enterprises for selecting an appropriate standard, and (5) by standards bodies for monitoring the maintenance of a standard as a whole. 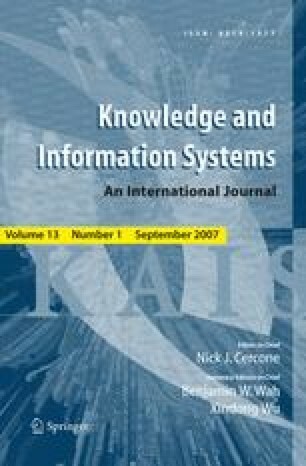 A preliminary and shorter version of this paper was presented at the IEEE International Conference on e-Business Engineering, ICEBE 2005. Martin Hepp is a Senior Researcher at the Digital Enterprise Research Institute (DERI) at the University of Innsbruck in Innsbruck, Austria, where he heads the research group “Semantics in Business Information Systems”. He created eClassOWL, the first industry-strength ontology for products and services and is currently working on using Semantic Web services technology for Business Process Management. Before joining DERI, he was an Assistant Professor of Computer Information Systems at Florida Gulf Coast University, Fort Myers (FL) and a Visiting Scientist with the e-Business Solutions Group at the IBM Zurich Research Laboratory. Martin holds a Master’s degree in Business Management and Business Information Systems and a Ph.D. in Business Information Systems from the University of Wuerzburg (Germany). Joerg Leukel is a Senior Researcher and Lecturer in the Department of Information Systems II at the University of Hohenheim in Stuttgart, Germany, where he leads the Logistics Research Group. Prior to this, he was with the University of Duisburg-Essen, where he earned a M.Sc. and a Ph.D. degree in Business Information Systems. His research interests are in the areas of inter-organizational information systems, supply chain management, product lifecycle management, semantic interoperability, business ontologies, and standardization. Volker Schmitz is a Senior Researcher and Lecturer at the Institute for Computer Science and Business Information Systems at the University of Duisburg-Essen, Germany. He holds a M.Sc. in Computer Science from RWTH Aachen University and is a member of several national and international standardization initiatives. Since 1999, he has been responsible for the development of the e-business standards BMEcat and openTRANS. His research and teaching interests include e-procurement, e-markets, catalog and product data management, product classifications, business ontologies, and standardization.